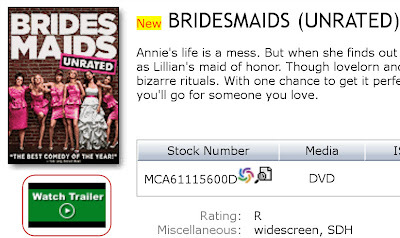 You can now watch over 18,000 theatrical trailers directly from our website. Simply click the “watch trailer” icon within Search or SmartBrowse to view the trailer in a pop-up window. Note that trailers require Adobe® Flash® for proper viewing. Click here to download the latest version of Flash. 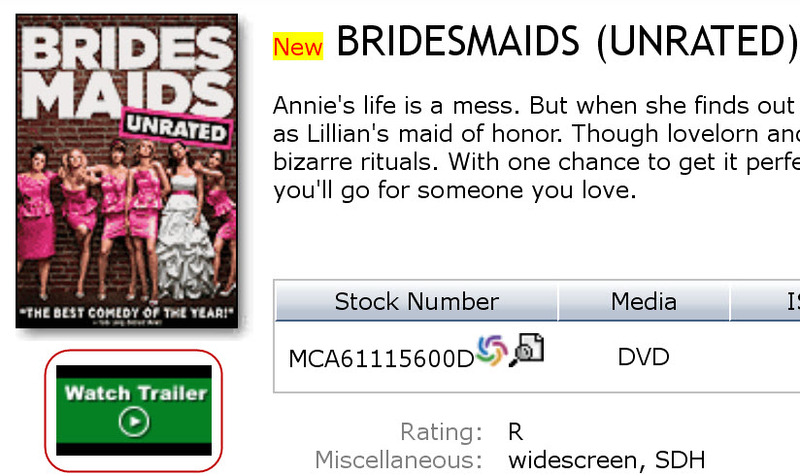 Visit MidwestTapes.com now to start watching trailers while you shop DVDs. What do you think of the trailer feature? Does it aid your selection decisions? What other website features would enhance your shopping experience? I love watching the trailers. It definitely helps me stay in the loop!